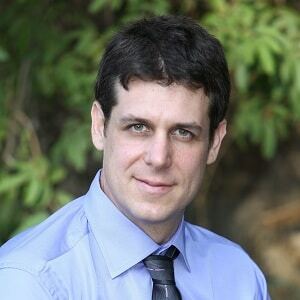 Tal Ben Yosef is an accredited lawyer and fraud prevention manager at the Union Bank of Israel, but until a few months ago he was the head of the fraud investigations department of the Shfela region in the Israel Police. He started his career in investigations during his mandatory military service in the Military Police. Ben Yosef left the Israel Police this past fall with the rank of superintendent. Recently, he took the time to sit down with about-fraud.com to discuss some issues Israel faces in the fight against money laundering. RS: First off, for the benefit of our readers, who exactly handles the fight against money laundering in Israel? TBY: There is the Anti-Money Laundering Authority in Israel, which provides information to many other regulatory and enforcement bodies. In recent years, the Income Tax Authority has become heavily involved in money laundering cases. Of course, the Israel Police also plays a major role in anti-money laundering (AML) investigations. Within the Israel Police, every unit can deal with money laundering. What that means in terms of organizational structure is that things are set up in terms of taskforces. In Lahav 443 [Israel’s equivalent to the FBI] there is a taskforce for money laundering, terrorist financing and for cybercrime. Within the taskforce there is an Income Tax department representative or a Value Added Tax department representative from the Tax Authority who sits in an office at Israel Police headquarters, which facilitates rapid sharing of information. The Tax Authority also cooperates with us through their Yahalom unit, which was established specifically to handle organized crime and heavyweight criminals. RS: How big a problem is money laundering in Israel? TBY: The Justice Ministry estimates that between $20 billion and $50 billion is laundered in Israel every year. Another figure that is tossed around is that if all the undeclared income in Israel was reported to the tax authorities, every citizen would pay several hundred shekels [about $100] less per month in taxes. The police are in a war against organized crime and attacking them through their money. It’s an amazing force multiplier in our view. For example, I have an organized crime group that I know is importing drugs to Israel over the years, but we haven’t succeeded in finding hard evidence for narcotics trafficking. Today, what we can do and have done is to meet the guy responsible along with someone from the Tax Authority. Under Israel’s Anti-Money Laundering Law tax evasion entered into the law book as “specified unlawful activity” [i.e. a crime that predicates money laundering]. That means we can go to that criminal or group of criminals and we ask, “You have a very nice house, but how were you able to buy it?” That brings things onto a different path because we can now confiscate all their property and assets if they can’t show legitimate income. RS: What money laundering issues does Israel face that are specific to this country? TBY: One issue that worries a lot of people is the topic of money changers. There are a lot of money changers in Israel that until recently had licenses that required regular transaction reporting but otherwise did not face other stringent operating requirements, such as minimum operating capital and criminal background checks for owners. However, just in the past few months the government created new standards that owners now need operating capital of at least 500,000 shekels ($135,000) to open a money exchange. They also need to have a clean criminal record. The goal is to reduce the number of money changers because some of these money changers cooperate with criminals and provide them with an excellent avenue to launder money. In Israel the a regular transaction report must be filed for transfers above NIS 50,000 ($13,500), but a suspicious transaction report must be filed whenever something irregular occurs. For example, if a university student comes to a money changer day after day with NIS 40,000 ($10,725), the changer must file a suspicious transaction report where the student provides his reasons for why he’s changing the money and from where it’s coming. The large moneychangers typically operate according to the law, but with the small changers you see all sorts of funny business. They play around with the records. There’s no software that everyone must work with, so you can report however you want, with an Excel file for example. You can record whatever you like, retroactively. RS: So how does someone launder money through a money changer? TBY: With a money changer there are a couple of options, which depends on the exact scenario. But let’s go with an example using fictitious invoices. I have let’s say NIS 100,000 ($27,000) in under the table money. I ask you to give me an invoice and check for the sum and give you the NIS 100,000, but they are mine and I want them back. So I go to the money changer and I tell him give me the cash for this check. As part of the normal process, he should record the transaction under my name, i.e. the name of the person who came to him. However, I tell him, “Don’t register it under my name.” Instead, he registers it under the name of another person’s company, so there won’t be a report issued that shows that I redeemed my own check. The money changer allows the criminal to evade the transaction report requirement because the moment he doesn’t record your details as the person who conducts the transaction you won’t ever get reported to the Anti-Money Laundering Authority. If the investigators don’t have any intelligence telling them to go specifically to that money changer and to look at the books on the assumption that somewhere the owner made a mistake and did write down the criminal’s details, they won’t ever know that he cashed the check. RS: Are there any other areas that are difficult to investigate? TBY: A number of insular social groups in Israel operate based on certain value systems centered upon tribal groups or familial groups. The Arabs and the ultra-Orthodox Jews are the most significant of such groups. One example that is commonplace among the Arabs is the clan-based structure. For clan members they would rather die that rat out their cousin. Among ultra-Orthodox Jews, they have their own private loan societies, the gemachim, which don’t have any fixed place of business. Only God knows what’s going on with them. It’s no secret that the police usually really on intelligence sources to begin investigations. Among insular groups, there will usually be less intelligence. Also, when a money laundering investigation starts it’s usually very easy to follow the money. However, part of the problem when dealing with insular groups is that when you come to open a closet you find half a million shekels in nylon bags or in the sofa cushions. They use very primitive methods [for hiding money] but effective ones. RS: How has Israeli law enforcement’s approach to money laundering changed over the past decade? TBY: Cooperation between the different agencies used to be much weaker. The Anti-Money Laundering Law hasn’t been around very long and when it was enacted it gave the police, income tax and VAT people the tools to work together. I think there’s been a change in outlook both in the Israel Police and in the Tax Authority toward working together. For years in Israel, each one would work independently. Without the commission of a crime that is specified unlawful activity [under the AML law], I can’t do a thing. I could have a great example of money laundering, but if I don’t have a specified unlawful activity with the case there’s no property subject to forfeiture. I may have an excellent example of money laundering but without assets I can’t bring in the heavy artillery. However, these days, a lot of times we bring the civil prosecution into the picture and conduct civil and criminal cases in parallel. We tell the civil prosecutors that it’s possible that we won’t be able to prove the criminal case, but you will have an assessment on back taxes. For example, if you buy an apartment and can’t prove where the money is from you’ll have to pay a tax assessment on the income. RS: What do you think are things that can be done today to boost efforts in the fight against money laundering in Israel? TBY: I think the level of awareness about the problem posed by money laundering is rising, but not fast enough. The techniques the Israel Police uses today are the same techniques used everywhere in the world. We are up to date on everything that is happening both in terms of cooperation and in work techniques. Maybe on technology we are a bit less up to date, but I think to putting together more taskforces is what’s important. In terms of aiding the police, if they asked whether we should add another patrol car or to take the same money and hire another person to work on money laundering, I’d say the latter. Money laundering is the fuel for organized crime. When dealing with an organized crime group, you have the boss and all the soldiers. The boss pays his soldiers good money to handle the drug trafficking, murders and all sorts of activity. But these guys commit crimes to make money not just for the fun of it. If the boss can’t pay them, they won’t stay put. And when the boss is left alone, he’s just like any other person, like you and me. Ronen Shnidman is the Managing Editor of about-fraud.com.